Article by Stephanie Hutton, Penn State Class of 2014, Remote Collaborative Unit. AUP students experience life at a Coast Guard small boat station. 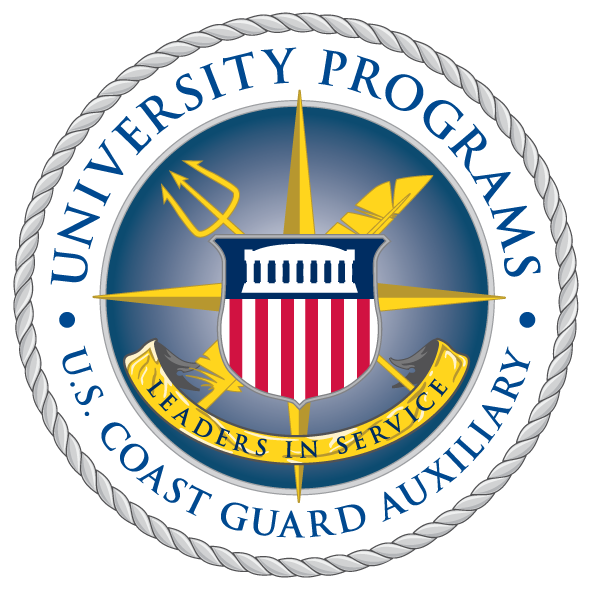 On May 21, 2012, three eager and excited Auxiliary University Programs (AUP) students arrived at Coast Guard Station Milford Haven in Hudgins, VA. They were on scene for Operations Week - a seven-day, fast-paced, training experience. Christopher Papas (The College of William and Mary), Alexandra LaRiviere (The Citadel), and Stephanie Hutton (Penn State) quickly adjusted to station life and began their training towards boat crew qualifications. Pictured Right: Stephanie Hutton (Penn State), Alexandra LaRiviere (The Citadel), and Chris Papas (William and Mary) at Coast Guard Station Milford Haven. Throughout the week, the students faced several challenges such as assisting in patrol boardings, open water survival, navigation obstacles, a search and rescue case (SAR), and much more. Pictured Left: AUP students learn proper open water survival skills in the life raft. Active duty Coasties and also experienced Auxiliary watch standers provided instruction. Mr. Ray Procopio, Flotilla 66, Mathews, Virginia, taught navigation, charts, and plotting. “Enlisted as well as Auxiliary were very helpful and willing to assist in any way possible. I learned so much in a very short amount of time,” Ms. LaRiviere said. Pictured Right: Mr. Ray Procopio, Flotilla 66 Mathews VA, provides navigation and local knowledge instruction on a nautical chart. This first-ever AUP Operations Week was a huge success and paved the way for future AUP students to receive similar training. It was a brand new experience for everyone involved, with an outcome better than expected. The three really took charge and made the week extremely productive. They were able to complete a large majority of their boat crew qualifications including man overboard, mooring both the 41’ and the 25’ boats, learning first aid, and survival skills. They even had the opportunity to take the helm of the 41’ to navigate through rivers, creeks, and the Chesapeake Bay. The three also experienced daily life of their active duty enlisted shipmates by helping with evening station clean ups, galley clean ups, morning boat and station checks, and boat washes, setting a solid foundation for future Operations Weeks.